Are you stuck trying to figure out how to save time on your eCommerce marketing while still maintaining quality relationships with your customers? As marketing tasks become increasingly easy to automate, authentic customer relationships seem to fall by the wayside. But, this doesn’t have to be the case! It IS possible to save time with marketing automation without alienating your customers. In this article, you’ll learn 5 best practices for eCommerce marketing automation that result in better relationships with customers and less time spent on repetitive marketing tasks. Are your automated welcome emails doing the job? If not, you’re missing out on one of the best opportunities to build a relationship with new subscribers with your email marketing. Welcome email workflows are arguably the most effective and important type of marketing automation workflow that you can implement. These workflows put you in touch with customers immediately after they sign up and set the precedent for the rest of your interactions. One of the best aspects of marketing automation for eCommerce is that it enables you to reach a customer at exactly the right time. Welcome emails are a perfect example. When customers sign up to receive emails from your business, they have a high intent to read your content. So, it makes sense that a welcome email sent immediately after signup would receive remarkably high engagement rates. 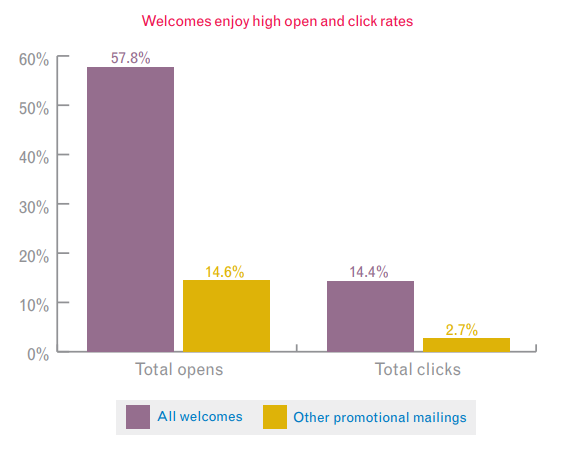 In fact, an Experian study showed that welcome emails received nearly 4 times as many opens and 5 times as many clicks as regular promotional emails. That’s why it’s so important that you know how to write a welcome email that connects with customers when they’re most engaged. 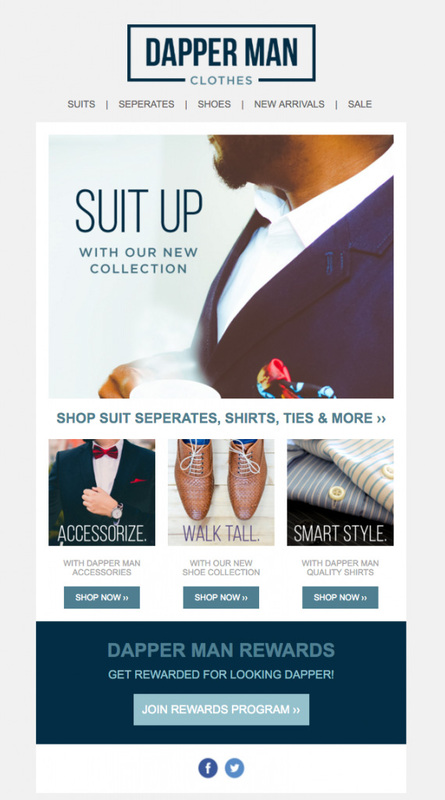 For inspiration, see our roundup of effective welcome email examples. Because welcome emails get so much attention, they are the best place to kick off your relationship with customers. Initial reward for signing up for your emails: Including a discount coupon code or special offer in a welcome email is great because customers have a much higher likelihood of seeing it. It’s also a great way to make people happy right off the bat! Outline of email frequency and content: It’s always a good idea to set customer expectations for how often they can expect emails from you and what those emails will contain. This prevents any unwanted surprises on the receiving end of your email campaigns. Relevant content that provides value to customers: Including helpful articles can establish your business as a trusted resource in your industry. This will keep your business top of mind when customers have questions. Brand personality: Most importantly, you should give your customers an idea of your brand personality. This is a great way to humanize your business and build trust with customers. A great example of this is Trello’s use of the dog mascot “Taco from Trello” to send out newsletters. Need some inspiration for your own welcome emails? 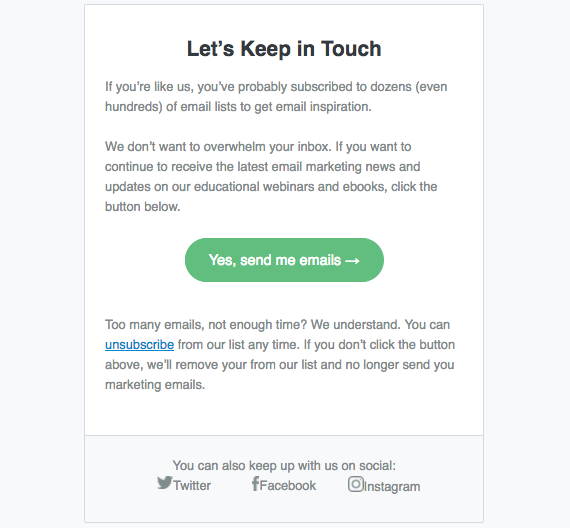 Check out these welcome email examples that build trust with subscribers. The best way to achieve rapid growth for your business is to make customers so happy they sing your praises from the rooftops. In order to do this though, you need to develop a sense of loyalty among your customers. People generally like to feel like they are part of the “in-crowd.” This desire leads to a feedback loop of increased engagement as a person feels more connection to a group. 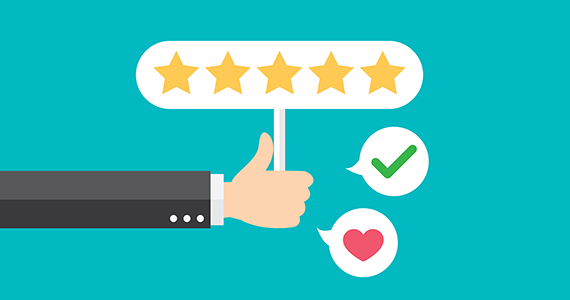 You can create this positive feedback loop of engagement with your business too. By inviting your most engaged customers to a loyalty program, you’re essentially telling them they’re a part of your organization. Marketing automation can help you target the right people to invite to the program. This is achieved either through a lead-scoring workflow, or finding an eCommerce marketing automation system that integrates with your eCommerce CMS or website builder. Once you have workflows in place to identify loyal customers, you can automatically send them an invitation to your loyalty program using your email marketing software. With your VIP program in place, you can set up more workflows to reward members. When loyalty members take actions that benefit you, such as making a purchase or writing a review, automatically send them exclusive discounts and offers. This encourages them to keep coming back for more and further builds their relationship with your business. In addition to targeting VIP customers, eCommerce email marketing automation can also help you create dynamic list segments. This can make your life a whole lot easier. Trying to figure out the best way to segment lists can be time-consuming. Thankfully, there’s an easier way with marketing automation. Creating segments with automation workflows will save you enormous amounts of time. By tracking purchase behavior of your eCommerce customers, you can create highly relevant segments with ease. The more relevant your email content is, the more likely your customers will engage. This engagement further establishes a positive relationship between you and your customers. How you implement this, and the segmenting optins available, will depend on the email marketing service you’re using. While it’s easy to use marketing automation to improve relationships with your best customers, it can also help you reconnect with your less engaged customers too. Let’s face it, email contact engagement dries up on occasion. It may be because they’ve lost interest in your products. Or, maybe they just haven’t been paying close attention to their promotional email inbox. Whatever the reason, there’s always a chance to re-engage them and bring them back. After all, they must’ve signed up for a reason in the first place. By creating an automated workflow that identifies unengaged customers, you can follow up in a more genuine way to win them back. While re-engaging customers is a great way to win back some business, it’s also good for maintaining a clean email list. If you have contacts who aren’t opening your emails even after you re-engage, they should be removed from your list automatically. By making sure you only keep interested contacts on your list, you can ensure that your deliverability isn’t being damaged by low engagement rates. Maintaining good deliverability is vital to keeping a good relationship with your other customers. That’s why using automation to routinely clean out any contacts who have dropped off and can’t be won back is so important. When building out your marketing automation strategy, it’s easy to only think of how it can help your business. But, you should always be considering how your customers fit in these workflows as well. This is a common mistake made by eCommerce businesses when setting up marketing automation workflows. Focusing only on sales as opposed to truly adding value will make you come across as disingenuous. This defeats the whole purpose of using marketing automation! Ask for product reviews: This adds more information for other shoppers on your site. Send relevant content: Articles can provide more context on how to get the most out of certain products that customers have purchased, and using follow up campaigns for existing subscribers can boost their engagement event more. Provide exclusive information on upcoming inventory: Sharing new products that might be of interest to loyal customers can help them plan out future purchases. Automation lets you automatically send targeted messages at the exact right time. The value in this is how responsive you can make your communications. It creates the opportunity to be genuine by responding to specific actions taken by customers. If you focus on points in the process where you can add value for customers, they will be much happier and much more likely to engage. That is ultimately what leads to more sales. Marketing automation is a great tool for optimizing eCommerce sales and improving relationships with customers. But, if you’re going to use it, it’s important to follow best practices and make sure that you’re always adding value for your customers. Next, check out our guides on eCommerce marketing strategies and eCommerce business plans to learn more tips to grow your revenue.